When it comes to building your new commercial building or warehouse, you have different options when it comes to process. You can hire an architect then turn to a builder and have it built, or you can be smart. Hiring a design-build firm, such as Alliance Construction Specialties (ACS), is the smart option. Hiring ACS takes away any stress about the building process, it lowers costs, keeps you informed, and guarantees consistency. Let’s just start with it. Using a design-build firm, such as ACS, cuts overall costs and keeps your project on budget. By being accountable for the entire project (design through completion), ACS takes every cost into account early on through the design phase. If there is an additional fee, we will know about it, tell you about it, and include it in the upfront cost. When a design-build firm is involved in the entire process, you can guarantee consistency and continuity. Things that could get lost or overlooked when handing a design from the designer to the builder will not be lost when using a design-build firm, such as ACS. Overall, this makes the project go smoother and more efficiently. Transparency is important during any design and building process. When using a design-build firm, like ACS, the firm makes sure you understand the process and keeps you in the loop. If there is something you need to know, ACS will not hide it from you. We value our relationships with our customers and would not do anything to tarnish that. The design and building process can be chaotic. By hiring a design-build firm, such as ACS, you are in good hands. Give us your worries and relax. ACS knows what to do in every chaotic situation. Your nerves can be calmed knowing our professionals are managing it in an orderly way, start to finish. 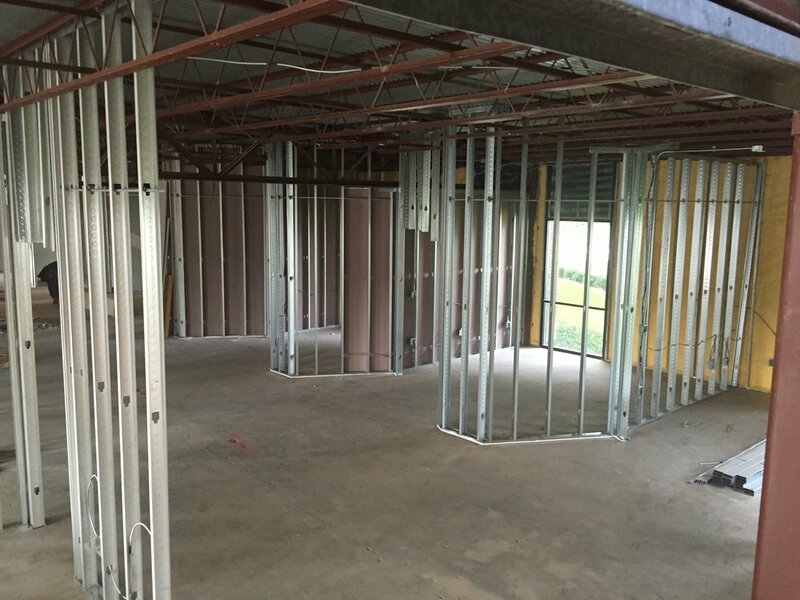 At Alliance Construction Specialties (ACS) we understand you have many options when it comes to building your new commercial building or warehouse. As a design-build firm, we work directly with an experienced team of architects and engineers to design a project that fits your vision and budget. We value our relationships with our customers and pride ourselves in seeing the project from inception through completion. Contact us to set up visit. We look forward to serving you! Refresh Your Space in 2019!